The Norwegian based Oxicomics are planning a re-launch tomorrow (September 9th), to coincide with Norway’s major Comic Con “Raptus” in Bergen. Morten F Thomson, CEO of Oxicomics, stated the Webshop where comics can be sold was facilitated for payment done using PayPal Digital Goods payment flow enabling both one-click purchase and Shopping Cart support. This includes an integrated HTML5 reader, with support for iOS apps, and browsers like Chrome and Safari. There is also forthcoming support for native apps (distibuted through the AppStore/Android Market). 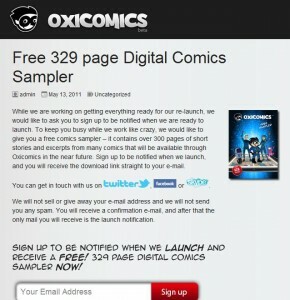 Each comic title has a fan wall allowing users to post comments, and replies from publishers. Publishers will have access to an early alpha-version of the webapp for iPhone, as well as a real-time sales spreadsheet. 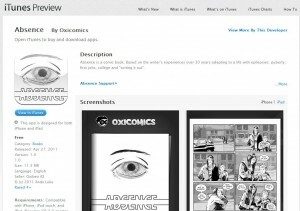 In the run-up to the relaunch, Oxicomics removed most of their stock from the Apple store for re-alignment. Some free titles still remain, such as the Northern Irish comic about epilepsy, Absence, which incurs no administration cost. Absence will also be available on the new OCDCP platform. The Raptus festival is Norway’s major comics convention and runs from 9th-11th September in Ludwig’s Academic Quarter. In it’s 16th year, the event attracts many thousands of attendees.